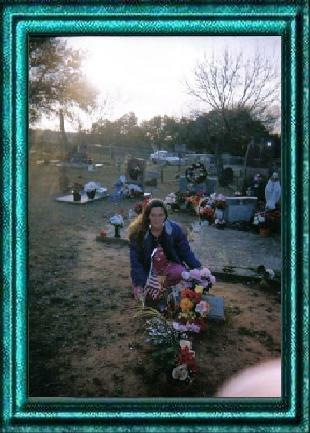 These photos are from the Candlelight Memorial Ceremony held on February 25, 2004 at the Ramby Grove Cemetery in Somerset, Texas honoring the memory of Emily & Emilio Garcia. 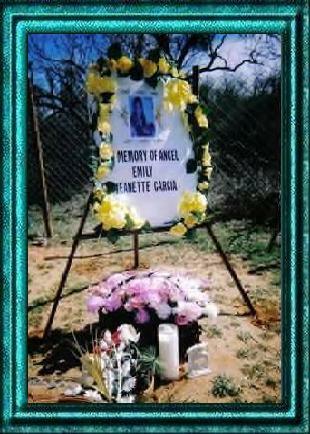 This ceremony marked the 11th year of Emily's death. 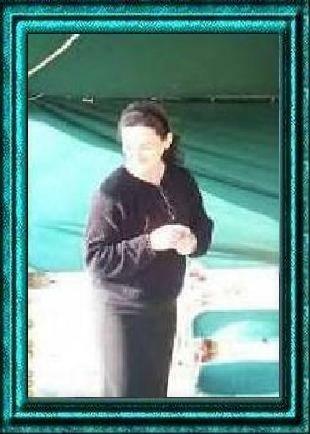 Her killer has still never been caught. 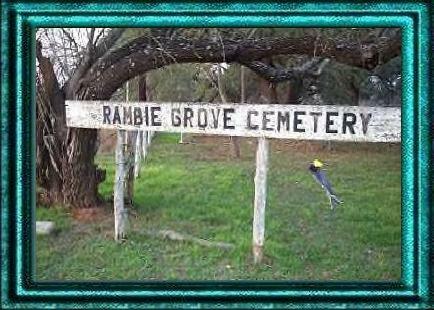 The ceremony was attended by several family members and friends. 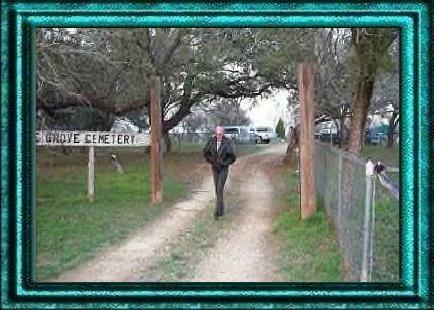 This is the entrance to the cemetery where Emily is now buried along with many other members of the Garcia family. This is Rodney Wheaton as he arrives for the Memorial Ceremony. 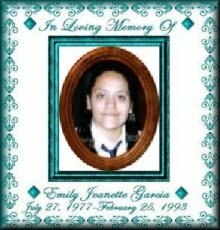 Rodney was my husband at the time, but was also the person who wrote the song "Sweet Emily" in honor of Emily & Emilio Garcia. 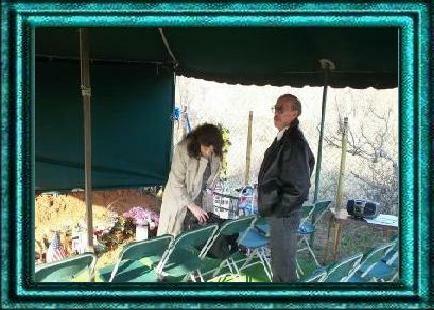 This is Rodney Wheaton and myself Theresa(Emily's Aunt) helping to set things up before the ceremony gets started. 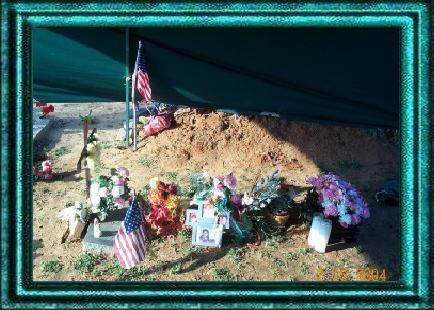 This is Sheila Smith-Ramirez(Emily's Mom) before the ceremony begins. 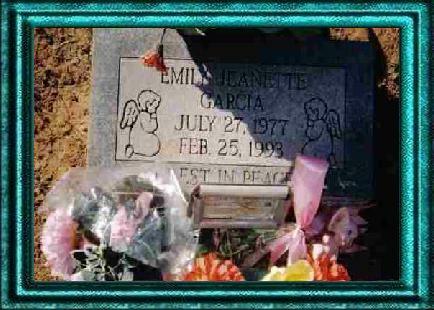 This is Emily's new headstone that was bought for her grave. 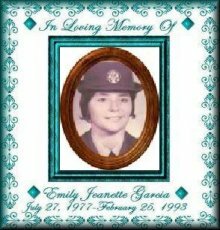 This is some of the things that Emily's mom Sheila and I, Emily's aunt Theresa, made for Emily and Emilio's memorial ceremony. 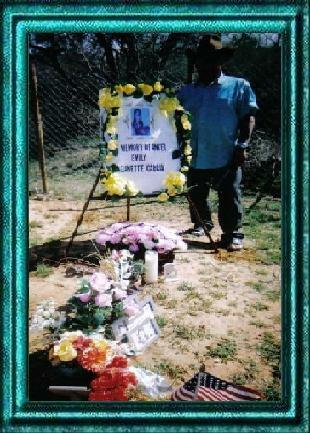 This is Emily's mother Sheila standing by some of the things that she and I, Emily's aunt Theresa, made for Emily and Emilio's memorial ceremony. 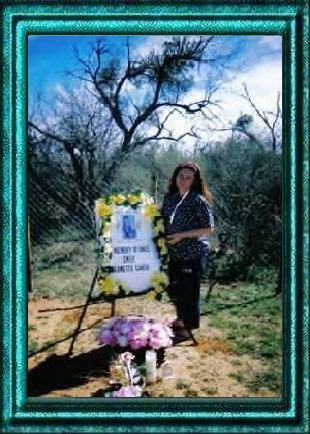 This is Emily's mom Sheila at Emily's grave before we ever started setting up for the memorial ceremony. 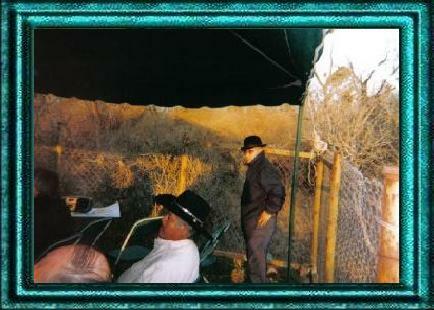 This is Louis, a good friend of the family and a very good friend of Emily's mom Sheila. 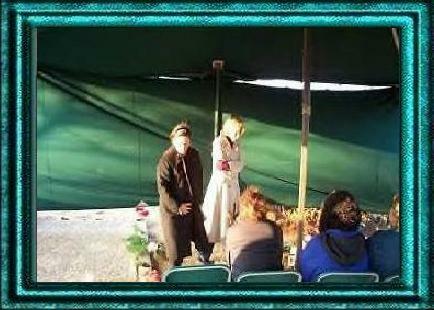 He is helping to set up some of the things for the memorial ceremony. This is the beginning of the ceremony where Emily's mom Sheila is reading the letter that was written by Emily's grandmother Peggy Smith who could not be there. 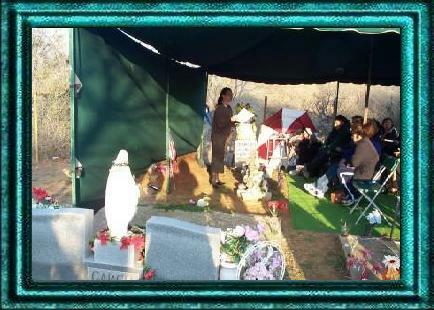 This is Sheila Smith-Ramirez(Emily's Mom) and Verna Lee Carr(an advocate for victims of crime associated with People Against Violent Crimes) and a good friend to our family, as a prayer is being said during the memorial. This is Verna Lee Carr(an advocate for People Against Violent Crimes) as she speaks during the memorial ceremony. 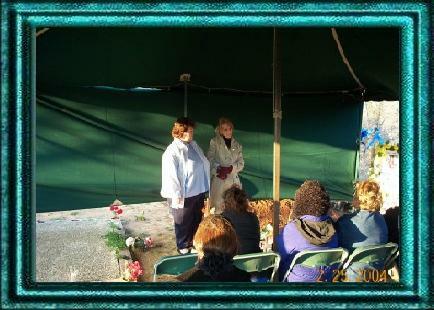 This is Verna Lee Carr(an advocate for People Against Violent Crimes) & Janice Sager(an advocate for Texan's For Equal Justice) as they speak about Emily and Emilio during the memorial ceremony. 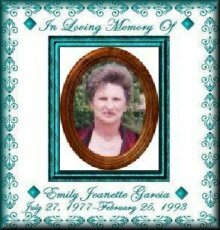 Janice and Verna Lee have become very dear friends to our family and helped Emily's mom(Sheila) & myself(Theresa) put this memorial together so that we may find some sort of peace knowing that people still remembered our Angels Emily & Emilio. 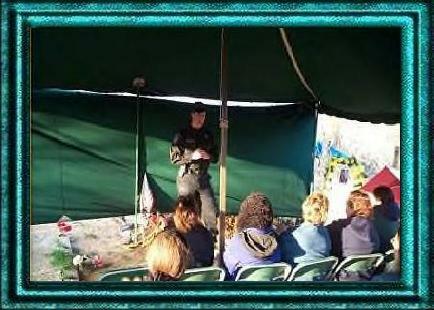 This is Lt. Mark Sawa(a member of Austin's Swat Team), as he speaks at Emily & Emilio's Memorial Ceremony. Lt. Sawa heard of Emily's Murder Case and was so moved by it that he goes every year and places an angel in memory of Emily & Emilio at the Tree Of Lights Ceremony each year. Det. Sawa has also become a very good friend of our family and we treasure him and all of his help. 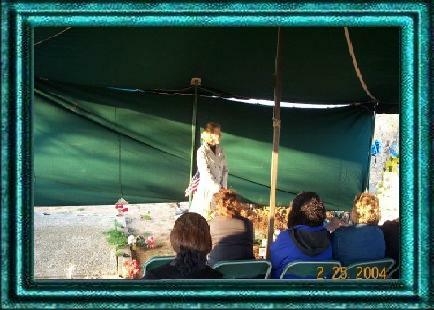 This is a cousin of Emily's on the Garcia side of the family as she speaks during the Memorial Ceremony. 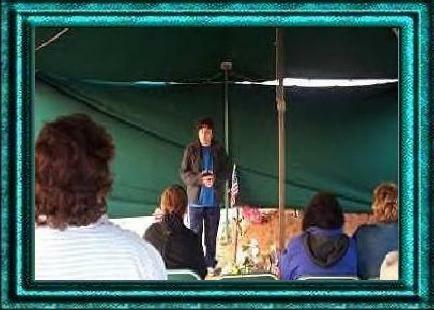 This is Roy Garcia(Emily's Dad) as he stands in the back and listens during the Memorial Ceremony. Roy left early and didn't even speak at his own daughter's memorial. This is the memorial buttons that were made by Joe Sager, husband of Janice Sager, the advocate for Texans For Equal Justice. We would like to thank Joe and Janice for making these for us to pass out to everyone that attended the Memorial Ceremony in memory of Our Angels Emily & Emilio Garcia.